A year ago in March, 2016, during Women’s History Month, I wrote a post about Rose Mansbach Schoenthal, wife of my great-grandfather’s brother, Simon Schoenthal, and the mother of ten children, nine of whom survived to adulthood. She came to the US from Germany in 1867 when she was sixteen, apparently alone, as far as I can tell from the ship manifest. She married Simon in 1872 and lived in Philadelphia, Atlantic City, and Tucson during her life. Simon died when he was only 54, and Rose was left to raise the three children who were still teenagers on her own. But what I didn’t know when I first posted about Rose was anything about her life before she came to the US or the first five years she was in the US. I didn’t know her background, where she was born, her parents, anything. One family tree on Ancestry said she was born in Gudensberg in 1850, but cited no records to support that assertion. Then a month or so ago when I was reviewing the family of Marum Mansbach and Hannchen Katzenstein, David Baron told me about a report of the extended Mansbach family that appears on Hans-Peter Klein’s website, Juden in Nordhessen. David said that he believed that Roeschen Mansbach, who was listed in this report as the daughter of Lippmann Mansbach and Frederike Kaufman, was the same woman who married Simon Schoenthal. I was intrigued and wrote to Hans-Peter to see what else he could tell me about Roeschen. Hans-Peter wrote that Roeschen had had a brother Isaac who had immigrated to the US and settled in Philadelphia, where he became well-known for his glass and bottles. With that additional bit of information, I decided to see what I could learn about Isaac and whether I could tie him to Rose Mansbach Schoenthal. First, I should explain how Roeschen Mansbach is related to my family. Her great-grandfather was Abraham Mansbach I, who was the grandfather of Marum Mansbach, husband of my great-great-grandfather Gerson’s half-sister Hannchen Katzenstein. So Roeschen was a second cousin to the three Mansbach children who were Gerson Katzenstein’s nephews and niece: Henrietta Mansbach Gump, Abraham Mansbach, and H.H. Mansbach. She was not a blood relative of mine, but related only through marriage. I decided to start my research into the question of whether Lippmann’s daughter Roeschen was the same woman as the Rose Mansbach who married Simon Schoenthal by reviewing the documents I’d already found for Rose. 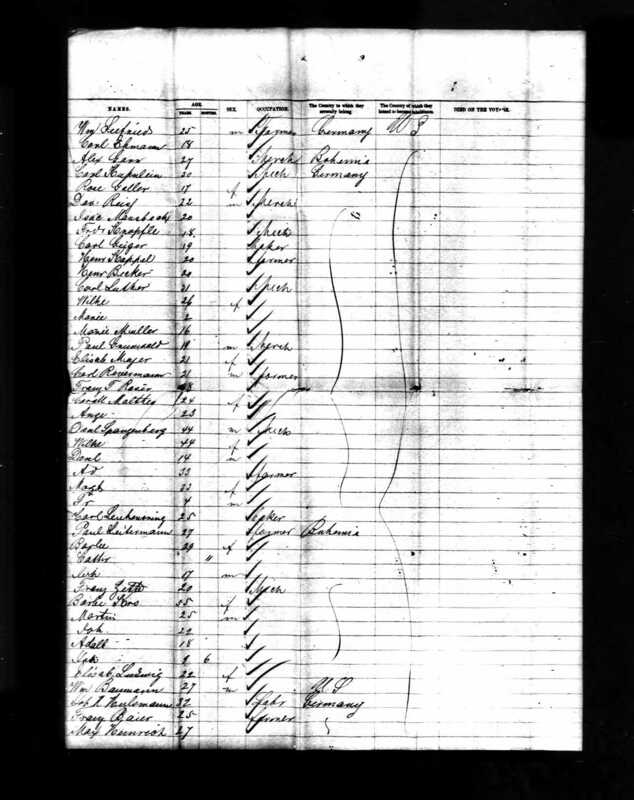 None mentioned her father’s name or place of birth (except the one family tree for which there were no sources), but there was one census record from the 1870 census that I had saved long ago because it listed a Rosa Mansbach. When I’d saved it, I had not been sure it was the same Rose Mansbach so had not included it in my post about Rose back in March, 2016. The reason I had not been sure it was for the same Rose in my initial search was that this Rosa Mansbach was living in Chicago in 1870. Although she was the right age (19) and born in Hesse Kassel, as was my Rose, I couldn’t figure out what she was doing in Chicago and why she was living with a family whose name meant nothing to me. Then. But now, in January, 2017, when I re-examined it, the name was very familiar. This Rosa Mansbach was living with the family of David Gump, a “merchant tailor” born in Germany, 33 years old. His wife Caroline had been born in Hesse Kassel, and their four children—Ida, Martin, Harry, and Mary—were all born in Pennsylvania. 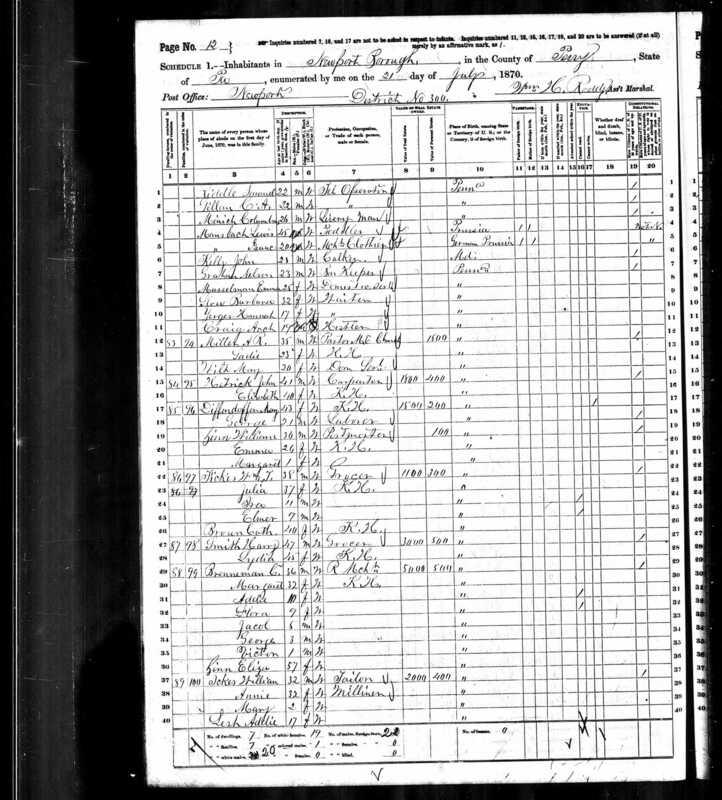 Looking at this census report with fresh eyes, I knew immediately that this Gump family had to be related to the family of Gabriel Gump, who married Henrietta Mansbach, and Eliza Gump, who married Abraham Mansbach. In fact, as I checked further, I learned that David Gump was the brother of Gabriel and Eliza Gump. 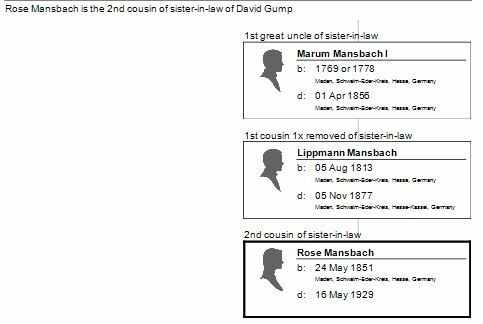 I knew then that this could not be coincidence, that the Rosa Mansbach living with David Gump had to be related to Abraham and Henrietta and H.H. Mansbach, the niece and nephews of my great-great-grandfather Gerson Katzenstein. Further research revealed that David Gump’s wife’s birth name was Caroline Mansbach. Although I’ve yet to figure out how she was related to Rose and the other Mansbachs, I have to believe that she also was part of the Mansbach from Maden family. Thus, it seemed quite likely that the Rose Mansbach living with David Gump in Chicago in 1870 was somehow connected to the Mansbachs who were related to Gerson Katzenstein. But was this Rose Mansbach the same woman who two years later in 1872 married Simon Schoenthal? That remained the big question. In 1870, Simon Schoenthal was living in Washington, Pennsylvania. After marrying Rose, he remained in western Pennsylvania for several years and then they relocated to Philadelphia and eventually to Atlantic City. Was there any way to tie Simon’s wife Rose Mansbach to the Rose Mansbach who’d been living in Chicago with David Gump? I wasn’t sure. So I decided to take a different approach. Hans-Peter believed that Roeschen Mansbach’s brother Isaac had also immigrated to the US and settled in Philadelphia. Perhaps I could find a way to connect him to the Schoenthals and strengthen the inference that his sister Roeschen married my great-grandfather’s brother Simon. 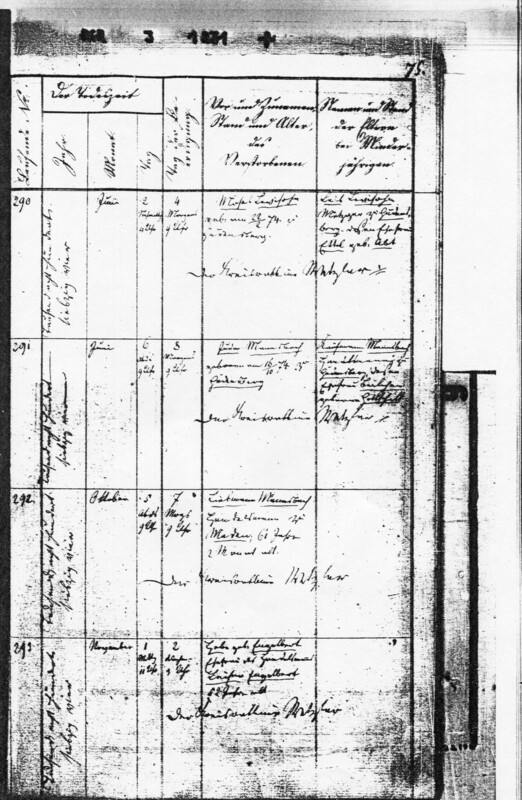 The earliest document I found for Isaac Mansbach was an 1868 passenger ship manifest for an Isac Mansbach, a merchant from Germany, twenty years old. Then, on the 1870 census I found a twenty year-old Isaac Mansbach, a clothing merchant born in “German Prussia,” living in a hotel in Newport, Pennsylvania. Newport is about 25 miles northwest of Harrisburg, about 120 miles west of Philadelphia. 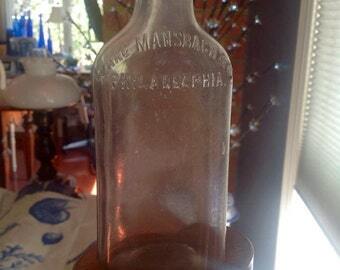 Living with him in the hotel was a 45 year old “Lewis Mansbach,” a peddler born in Prussia. Could this be Lippmann Mansbach, father of Isaac and Roeschen? Hans-Peter’s research indicated that Lippmann died in Maden, Germany in 1877. Could he have come to the US for some years and then returned? According to Hans-Peter’s research, Lippmann was born in 1813, so he would have been closer to 55 than 45 in 1870. And I’ve found no other US record for a Lewis/Louis Mansbach of that age, so I didn’t know with any certainty who this man was. But the fact that Isaac Mansbach named his first child Louis in 1875 made me think that the 45 year old “Lewis” Mansbach living with him in 1870 was his father Lippmann. So I wrote to Hans-Peter to see if he had any other information about Lippmann Mansbach and specifically about whether he had ever emigrated from Germany. I was particularly interested in whether he had a death record for Lippmann. I was delighted when I received a reply that included that death record. It in fact showed that Lippman (really Liebmann) had died not in 1877, but on October 5, 1874. That explained why Isaac named his first son Louis in 1875. It also left open the possibility that although Liebmann died in Maden, he very well could have been living with his son Isaac in Newport, Pennsylvania, in 1870, and then returned to Germany before he died. 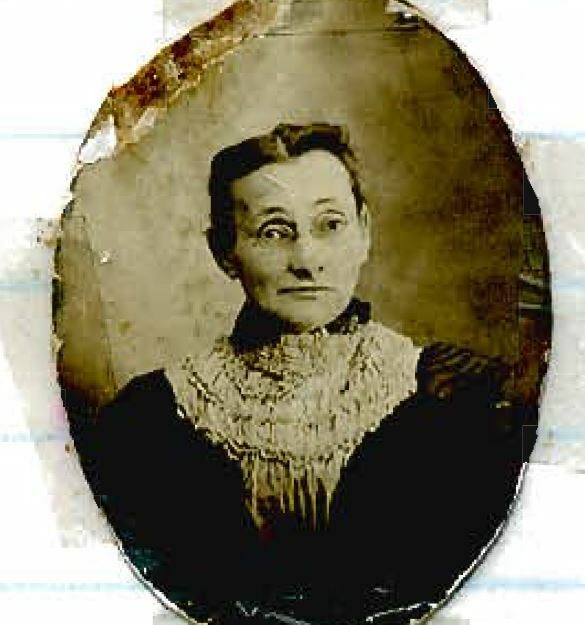 As for Isaac, he married Bertha Schwartz on March 23, 1873, according to the Pennsylvania Marriages 1709-1940 database on familysearch.org. Bertha was born on April 25, 1853, in Germany, but I have not yet been able to find out much more about her background. 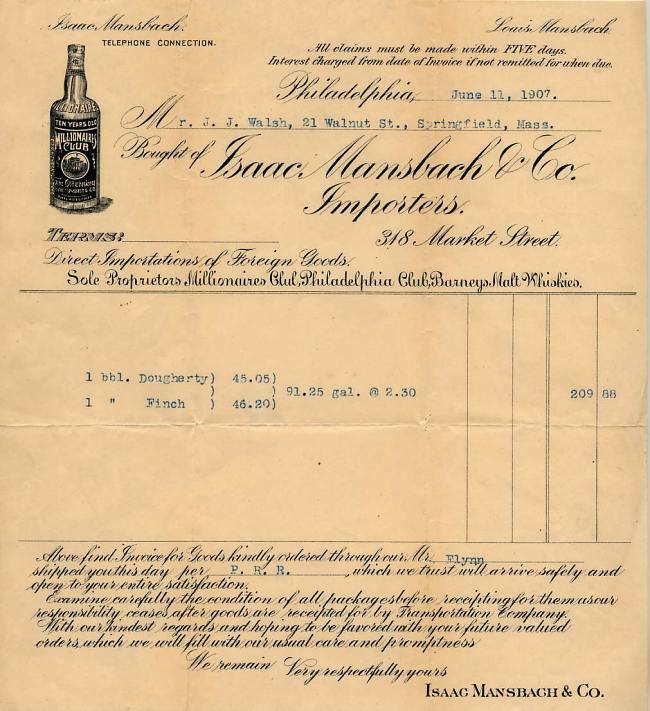 However, in 1876, Isaac was in the liquor business with a man named Marks Schwartz; the business was called Schwartz & Mansbach and is listed in several Philadelphia directories. Marks has so far proven to be as elusive as Bertha, but I have to believe they were either father and daughter or brother and sister. 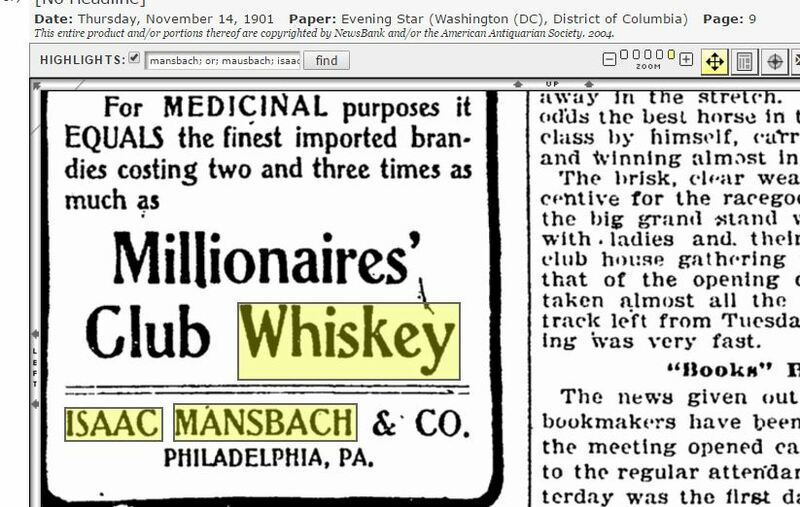 According to a website devoted to cataloging the names of all pre-Prohibition era liquor dealers in the United States, Isaac Mansbach was in business with Marks Schwartz for about twenty years (1876-1896). At that point Isaac went out on his own with his son Louis. In 1910, he and his wife Bertha were running the business. I found the above advertisement for Isaac’s business in the November 14, 1901, Washington (DC) Evening Times; even more exciting was this invoice for a sale his business made on June 11, 1907, to a J.J. Walsh of Springfield, Massachusetts! (FYI—I live just a few miles outside of Springfield, known today primarily as being the birthplace of basketball). Obviously Isaac had a successful business as he was engaged in transactions far from Philadelphia. Hans-Peter had mentioned that he thought that Isaac was in the glass and bottle business, and I think I know why. As a distributor of liquor, the business had bottles made that were marked with the distributor’s name, as depicted below. 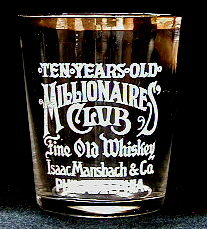 The pre-Prohibition website went on to report that sometime before 1918, Isaac Mansbach dissolved his own business and in 1919 went into business with a new partner. That new partner was Harry Schoenthal. Yes, Harry Schoenthal, the son of Simon Schoenthal and Rose Mansbach. 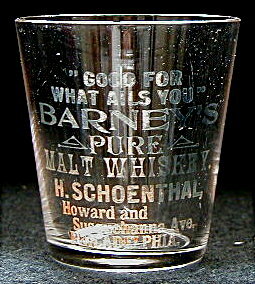 I knew this was the same Harry Schoenthal because I knew that Harry had been in the liquor business in Philadelphia. As I wrote just about a year ago, in 1910 Harry was living in Philadelphia and listed his occupation as the owner of a “retail saloon,” His sister Hettie’s family shared with me this photograph of “Uncle Harry” and his liquor business. I wonder if one of those other men was Isaac Mansbach. So in 1919, my cousin Harry Schoenthal, the son of Rose Mansbach and Simon Schoenthal, went into business with Isaac Mansbach, his mother’s brother. I had thus found the missing link that tied Roeschen Mansbach, Isaac’s sister and the cousin of Henrietta, Abraham, and H.H. 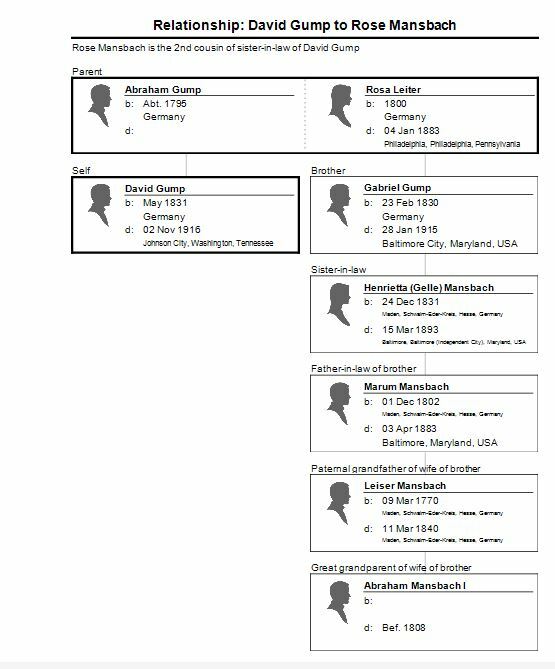 Mansbach (children of Hannchen Katzenstein), to the Rose Mansbach who married my great-grandfather’s brother Simon Schoenthal. There was yet another connection between the Schoenthals and the Katzensteins in addition, of course, to that between my great-grandparents, Isidore Schoenthal and Hilda Katzenstein. I was hoping that finding Rose’s family would somehow lead me to more clues about the mystery of her namesake and granddaughter Rose Mansbach Schoenthal, the child who appeared on the 1930 census and then disappeared. But alas, I’ve not yet found anything new to help me solve that mystery. 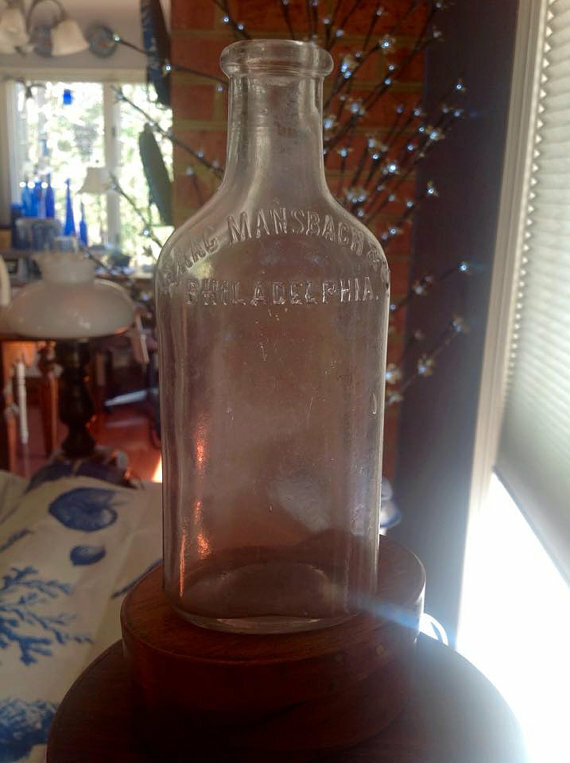 This entry was posted in Genealogy, Katzenstein, Schoenthal and tagged alcohol, Mansbach, Philadelphia, schoenthal by Amy. Bookmark the permalink. 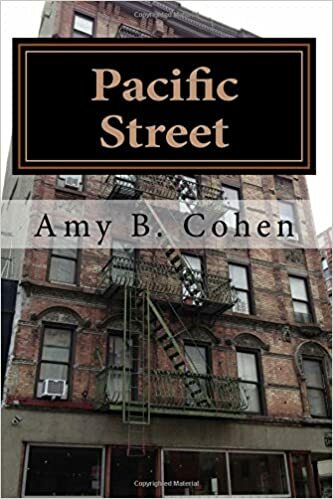 Amy, you may know that Mansbach is a village in the Rhoen Hils/Mountains, once with an old Jewish Community: http://www.alemannia-judaica.de/mansbach_synagoge.htm. It’s certainly possible that there were Mansbach roots there, but I’ve only gotten as far back as their lives in Maden. Is that near Mansbach? The villages are about 85 km apart, quite a trip in the old days. But remember, when Jews had to adopt last names, the often took village or town names relevant to the family. I will have to ask Hans-Peter about this as he’s done a great deal of research about the family. Perhaps he knows. His research goes back to the 1760s showing this Mansbach family in Maden. Although presently writing only about direct ancestors on my blog, I have always believed collateral lines are important. Your posts are always backing this up. Even when the pieces of the puzzle don’t fit together, I keep everything in one family tree file. Then when a connection is made I can easily attach the individual to whomever. I can imagine the satisfaction you got out of this one. Originally I stuck to direct lines, but pretty early on I realized that finding siblings and other collateral relatives often led me to information about the lives of my direct ancestors. So now, the sky’s the limit. And I never, ever expected that Rose would end up related to other lines in my family. It is SO much fun! Before I started blogging, I would work on all descendants of one of my earliest known ancestors for up to six months – exclusively. I “met” many distant cousins this way. Often one or the other was also connected to me through another ancestor. In the beginning it was unexpected, like your experience with Rose. Now I get a bit antsy when I’m not seeing this kind of connection especially with the Luxembourg families. It is both fun and a bit scary to see how many of our ancestors were intertwined—marrying cousins, children marrying the children of those cousins, and so on. It’s amazing that we all aren’t genetic messes. Or maybe we are! NICE work! It is amazing how you can look at something so many times and then one day the light bulb goes off. And I agree – look at everyone because you just never know when you’ll find a familiar name. Thank you! It was fun and very rewarding! It makes so much sense to examine the lives of non-direct ancestors for clues and it’s paying off for you time and time again Amy. I find though that these “corroborating” lives are often so much more interesting that I get side-tracked. But I am easily side-tracked! Another great job of sleuthing and putting together all the pieces. I love your stories. Thanks so much, Linda! This one was quite rewarding. Thanks so much, Sharon! This one was really fun and very satisfying. Fabulous research, Amy. And the glass treasures–wow! I am wondering if returning to the old country was perhaps more common than many of us realize. Thanks, Luanne. I have seen several instances of family members returning to Europe, although not an overwhelming number. My great-grandfather’s sister Rosalie did—with tragic consequences for her descendants. And certainly I’ve seen a number who went back and forth more than you’d imagine. It really surprises me that this used to happen. I always picture late 19th and early 20th century immigrants as too poor for that sort of travel, but I imagine there were all sorts of reasons to make it a priority. I think travel was cheaper than we’d imagine, and at least in the instances I’ve seen, these relatives were pretty successful merchants, even if immigrants. That is probably the only reason they could even think of travel like that. I’m so glad you share not only the story but how you researched. 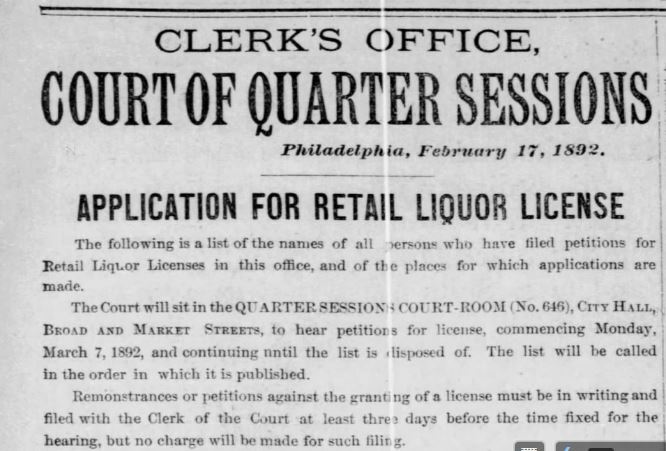 I will definitely check out the website on the pre-prohibition liquor dealers. There is a possible relative who had a liquor store in New York’s Little Italy in the 1910s. I say he is “possible” because of the web of contradictory information we have so far. That’s another story! I’m glad your efforts pulled so much together in a way that makes sense. You still have to find little Rose but this might not be her time yet. Thanks, Emily—I am not sure that site includes liquor stores as opposed to liquor wholesale distributors, but it’s worth checking. Let me know. As for little Rose, I’ve pretty much given up. It will be up to her to find me! Yes, and sometimes that does indeed happen! She’ll come around when the time is right. Thanks, Amberly. I think that being a lawyer and teaching law helped me learn how to break things down into small steps and focus on one thing at a time while also keeping the big picture in mind. But I also remember that in the beginning I was sure that census records HAD to be accurate! LOL! LOL for sure! I remember one of the first classes I taught there was this woman who basically said, don’t even bother to look at census records because they are always wrong. She operated under the premise that if one thing was wrong then you couldn’t trust anything else int he document. Sigh. I never did make any progress with her. I didn’t know you were a lawyer or that you taught law. That is fascinating. Dismissing them all as inaccurate is as dumb as relying on them all as accurate! Yeah, law was my first career—not nearly as much fun as genealogy! Wow Amy, I love how your research and stories and families interweave. You take a tangled mess and make lovely new weaves. Thanks, Janice! It is part of what makes this work so much of a challenge and so much fun. So do I, Shirley, so do I…. Amy-Your blog is fascinating and the amount of information you have uncovered (and made sense of) is mind boggling! It turns out that I am one of your cousins. My grandmother was Estelle (Stella) Schoenthal Klein, the youngest daughter of Simon Schoenthal and Rosa Mansbach Schoenthal. If you want to contact me directly, I can give you some information about our part of the family. Thank you, Barbara! And thanks for connecting with me. I will email you.